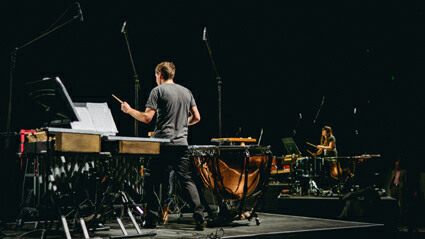 Felicity Clark has written an excellent review of Synergy Percussion’s performance of Iannis Xenakis’ Pléïades and Anthony Pateras’ Beauty will be amnesiac or will not be at all. Read it in the current edition of RealTime. Partial Durations is a Matthew Lorenzon/RealTime joint project.